Everyone who knows their account manager loves having an account manager, right?! An account manager gives you someone to turn to for anything and everything. However, a good part of their day is usually spent putting out fires and being reactive but, this can be avoided. 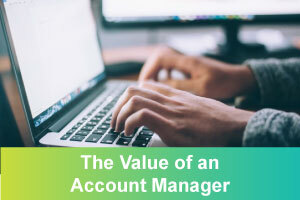 One of the primary reasons the account manager role exists is to provide a proactive customer service approach. If we know concerns in advance, we can work together to find ways to optimize the customer experience. Many of our most recent changes at CoreHealth are a direct result of customer feedback via calls with account management. It's ironic but one of the biggest struggles account managers face is getting calls booked - customers are often just too busy! If it's not the top 'fire' of the moment, our calls can get lost in the shuffle. Meeting with your account manager on a regular basis can result in long-term savings. Using a fictional startup wellness company called Acme Wellness, we'll outline some of the challenges customers have unnecessarily experienced due to limited communication with their account manager - and how they could have been avoided. Acme Wellness has a small staff who are always busy. They’d like to hire more employees, but until they’re revenue positive, they are unable to do so. Due to the lack of resources, meeting with their account manager has not been top priority. Lost a customer because their employee wellness portal required significant manual work to create multiple incentive programs. Missed deadlines and lost the faith of their customer. Worked a lot of overtime, because they felt the software training they received was inadequate, and had to figure things out with trial and error. When they’ve asked for further training, they were told it would cost them money that they don’t have. Missed landing a couple of big prospects because the employee wellness software didn’t include a necessary feature and a certain integration wasn’t available. By now, Acme Wellness is frustrated and feeling like they've been let down by their employee wellness software vendor. At their wits end, they recall they have an account manager! Being proactive would have saved a lot of time and expense. If Acme Wellness had met with their account manager, they would have learned that the latest software update would have made the configuration of their incentive programs much easier. If Acme Wellness had met with their account manager, they would have learned about some creative solutions or that additional training could have been negotiated. Your account manager will go to bat for you. It's in the best interest of both parties to achieve customer success - work together to reach a win-win solution. If Acme Wellness had met with their account manager, they would have discovered that the feature they wanted was scheduled for a future software release. Alternatively, we could have also explored workarounds or third-party integration options. We can’t help customers if we don’t know their challenges and obstacles. We hope these examples help illustrate how a small investment of your time, can lead to a big payoff. Acme Wellness could potentially have been more profitable and hired the help they need, by taking a proactive approach. Fortunately, they eventually spoke to their account manager and are now working together to improve their outcome and are living happily ever after. We're looking forward to speaking with you soon! INTERESTED IN SPEAKING WITH COREHEALTH?